GALLIPOLIS — Gallia County Prosecuting Attorney, Jason D. Holdren, recently announced that Michael L. Cook, 49, of Dayton, was convicted by a Gallia County Jury in the Gallia County Common Pleas Court Tuesday evening in a trial and Jeremy Nichols, 41, of Vinton, pleaded guilty to four counts of non-support of dependents, Wednesday morning, and one count of a failure to appear in court. 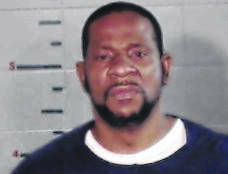 Following a one-day jury trial, Cook was convicted of Possession of Cocaine, a felony of the fifth-degree; Possession of Heroin, a felony of the third-degree; Trafficking in Heroin, a felony of the third-degree; and Tampering with Evidence, a felony of the third-degree, according to Holdren. 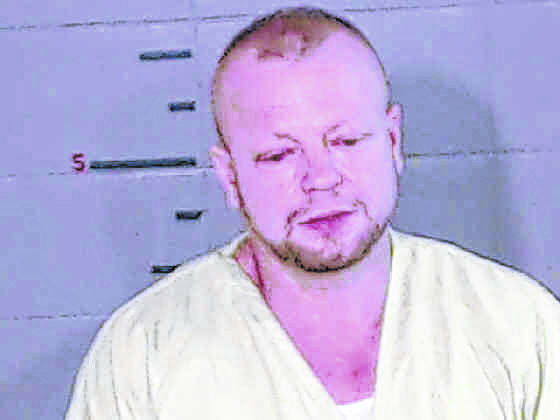 Cook is set to be sentenced by Judge Margaret Evans in the Gallia County Common Pleas Court on Tuesday, Oct. 16. Cook faces up to seven years in prison for these convictions. The State of Ohio will be seeking the maximum penalty for the defendant, according to Holdren. Cook was pulled over with a female passenger on Jackson Pike, Oct. 10, 2014, said Holdren, when a vehicle was observed with too dark of window tint by Ohio State Highway Patrol Trooper Jim Trelka. Trelka followed the vehicle Cook was driving into the parking lot of a restaurant on Jackson Pike before stepping out of his cruiser to speak with Cook and the passenger as they exited a white pickup. Per dash camera video footage, when Trelka leaned over to speak into a shoulder-mounted radio, Cook faced away from him and tossed a baggy over the backside of the truck to its opposite side. According to the prosecutor, a restaurant patron would eventually exit the restaurant, pointing out the baggy to the trooper. Upon inspection and measurement, roughly 8.3 grams of heroin were discovered in the baggy, divided into 22 smaller baggies. One cocaine baggy was discovered with reportedly .5 grams of cocaine. Trelka questioned Cook and Cook reportedly said he was an informant for the DEA and FBI and to bring drugs to a local apartment complex. Law enforcement did not find information to corroborate Cook’s statement. Cook has reportedly had continued criminal issues in Meigs County as well. “He has shown zero desire to take responsibility for his actions, and so we are happy to oblige him in having as many jury trials as he wants and we will continue to stack years on his sentence,” said Holdren. Nichols, Wednesday morning, was set to be tried on two counts of non-support of dependents, both felonies of the fifth-degree. The Ohio Revised Code says that there is a 104 week period, roughly two years, and if a parent fails to pay 26 or more of those weeks for support it can be considered a felony. Holdren said that much of prosecution’s decision was based on whether it felt an individual was attempting to change their ways or would continue to shirk their responsibilities. Prosecution looked at two time periods, the first from May 2014 to April 2016 and out of a 104 week period, Nichols reportedly failed to pay all those weeks. The second period was May 2016 to April 2018, out of that, Nichols reportedly failed to pay all 104 weeks. Nichols total owed money was around $67,000. His only payment reportedly made on the case at the time it was filed was $6.56. “It’s that kind of a case that we say warrants a felony charge,” said Holdren.